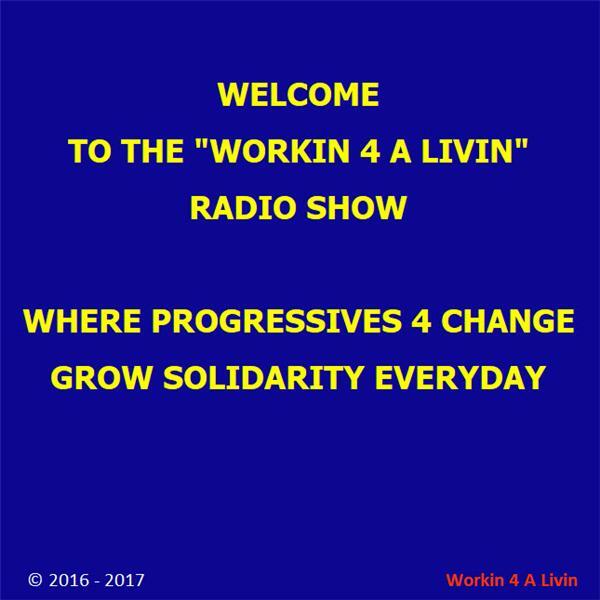 Workin 4 A Livin is about the meaning of work for men and women from all backgrounds - in the union and non union jobs - who are working for a living everyday at their job. For them to get the latest union news, to discuss and learn about the meaning of work within labor unions, how to become an activist, how activism can affect their careers, and how all of that is supposed to occur within a workers union. We welcome you to become a regular listener.